You are here: Home » Blog » Here We Go Again, Folks! Since the last issue of ERD Magazine, our friends at OPEC have started making some very subtle noises that they may be just about done trying to bankrupt themselves (and everyone else in the process…), and IF that is the case, it may be time for our clients to dust off all of those projects that have been on a shelf since the end of 2014, and take another look at them. I can’t speak for everyone in the Horizontal/ERD, wellbore stability/geomechanics or deepwater drilling fraternities, but I can say that many of us aren’t expecting too much for the remainder of the year; maybe Q4(?). If we do get back to drilling, who’s going to actually do it? We’ve laid off half of Houston, it seems, and I’m hearing Aberdeen isn’t much better off… I know I’ve had to lay off, folks – nothing for it, to be honest. Luckily, they were top-notch ERD hands, and were able to, unbelievably, find something IN THE INDUSTRY, when many others were cleaning out their desks and lockers. Can I get them back? I sure hope so; those are going to be some tough phone calls… Maybe we’re about to get back at it. Are we ready? Can we provide the types of services our clients are going to look to us to provide? To begin, we NEVER stopped investing in Tech R&D. From new updates and capabilities that have brought ERDPro®, our drilling engineering and field monitoring software, to the forefront of the ERD industry, to a nearly finished platform upgrade for DEEPWATERPro®, our pore pressure prediction software, we never let the drop in revenue and activity affect our technical readiness – as we used to say many years ago when I was in the Army, we had to stay “Technically and Tactically proficient.” And we did, folks, we sure did. Like I said 9 months ago – we didn’t cut back on tech; we literally just cut back on lunches (and a lot of other things…). Oh, and let’s not forget our added capability for complete 3D geomechanics studies and RT analysis. Can’t forget that – trust me, after writing that check, I’ll never forget it. But we’re more prepared. As we’ve expanded our wellbore stability and geomechanics division globally, we’ve taken the time to begin to work out sound internal processes for both predrill studies and RT services. It’s not enough to just be able to provide an excellent study that is beneficial to the client – it has to be timely, it has to be replicable, and the entire team, not just individuals, but the entire team, needs to be able to turn out similar products, because if it does get busy, our clients may want services for multiple wells, and if they’ve grown to like a certain report format for one well, for example, they will want it that way for EVERY well. As everybody else in an engineering service-oriented industry knows, it’s a never-ending process. There are days when I just want to go hide somewhere, shut the phone off – but I can’t, and neither can anyone else. But, these new processes allowed us to be even more prepared for new projects as they come up. It’s not enough, we came to painfully learn, to simply have an internal system that ensures training and mentoring for both our ERD and Deepwater Specialists as well as for our office-based engineering and geomechanics teams – we needed to, at the very least, align with ISO. Unless you’re fully involved with QMS, maybe even have the title “QMS somethingsomething somesuch…” on your business card, you have NO IDEA HOW BAD THAT IS… You think you do – you don’t… You think an MOC is bad? Try writing an entire system… In fact, depending on what size company you are a part of, you may not even think you need such a thing – I didn’t, I admit. Then we had a huge potential client tell me I was wrong. So there I was… Luckily for us, Nicole was able to figure it out, with the help of some consultants and the purchase of a copy of “QMS for Dummies” (that last one was me – still couldn’t figure it out…). So now we can go back to that client and tell them we’re ready to go – again, more qualified now than we were a year ago. I’m told we didn’t miss the bid. Well, whether you use our services or not, you hopefully know what we can do: Complex/ERD Well Engineering, rigsite ERD engineering and hole condition monitoring training, Pore Pressure Prediction services for both deepwater/shelf drilling as well as onshore, and wellbore stability/geomechanics, both predrill studies/modeling and RT monitoring. 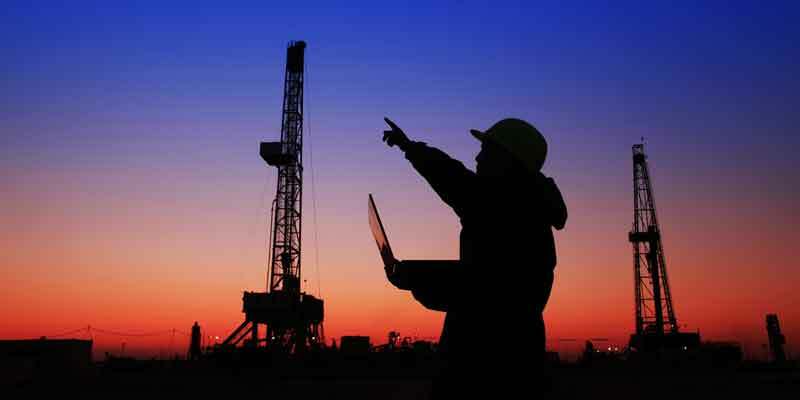 Our business model is to bundle all of the services necessary to design and drill oil and gas wells. Have laptop, will travel. But we were missing something – what happens when the well is done? What tracking metrics, other than NPT, overall ROP/DvD and AFE overrun, can we use to compare wells and identify non-engineering or non-geomechanics-related opportunities to maximize performance? And so, in the coming months, HXR will be launching our version of what many clients already contract out for – Performance Optimization. The way we picture it being structured, we think it’s going to be better than the services you already use, because you’re not just sending in a report every day to an overworked “Optimization Engineer” in Houston watching 20 rigs he/she has never even seen; our ERD or GEO Specialists are ON YOUR RIGS – we can provide insight beyond anything similar service company can ever hope to provide. Just the way it is – has to be that way, really, with how we’re set up. Again, more prepared than our competition, and better ready to help our clients. As I mentioned above, several things, on a daily basis, make me want to go hide somewhere (I’m 6’7” 290 – it’s hard to find a “little” place to go crawl into…), and one of those things is to hear, as I did yet again today from one of our sales team, “That Drilling Manager never heard of us before.” Well, I’d say one of the reasons is that we don’t offer general “open” classes. Never have. Probably never will (I waffle on that sometimes…). But I’m proud to say that, while our 2-day ERD courses are well received by our clients, we used this slowdown to work on 3- and 5-day, exercise-heavy courses for those clients that wish more focused, in-depth courses for their drilling personnel. But don’t worry, folks – they are still “client-well focused”, using actual graphs, designs and information from the Well Design Studies we did for an upcoming well that we are about to go out and drill with the rest of the Clients team. If you’re paying us to provide a course for your people, it should at least be based on the well YOU are actually about to drill, shouldn’t it? This makes us better prepared to help our clients. I wrote, 9 months ago, that one of the ways we were existing through the downturn was to keep our sales and client rep team going, even if it would nearly bankrupt us. I didn’t just keep them – I added one. And we’re not done. If you’re drilling in the Middle East, or West Africa, the North Sea, or even the western US or GOM, and you’re interested in getting a project going and you think you may want engineering design or geo services, you want someone who is across town to come in and talk to you; or at least to be able to grab a shuttle in the morning. Of all the things I have mentioned here, THIS may be what really makes us better prepared to help. Oh, and Brazil? See you soon. Good luck on both your ongoing and upcoming projects, folks, and be safe out there.